Completely rebuilt after the floods in 2000, Shimuwini bushveld camp is the most modern of all the bushveld camps in the Kruger National Park. You will find the camp in the northern region of the Kruger National Park, set in a remote area on the banks of the Letaba river, amidst predominantly Mopane bushveld. The camp is named after the huge baobab trees that line the Letaba river. One of them is believed to be between 2,000 and 3,000 years old. Shimuwini is a word from the Shangaan language, meaning "Place of the Baobab tree". With beautiful scenic views across the Letaba river and the Shimuwini dam and its excellent game viewing potential, the camp is a firm favourite with may visitors. 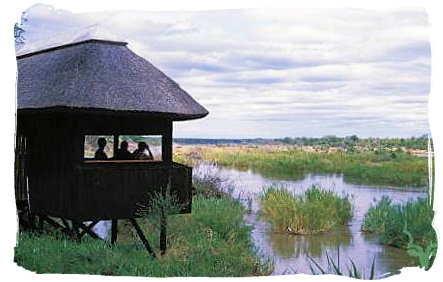 Like with many of the camps in the Kruger National Park which are situated near a river or dam, the vegetation around the bushveld camp is of a riverine nature. 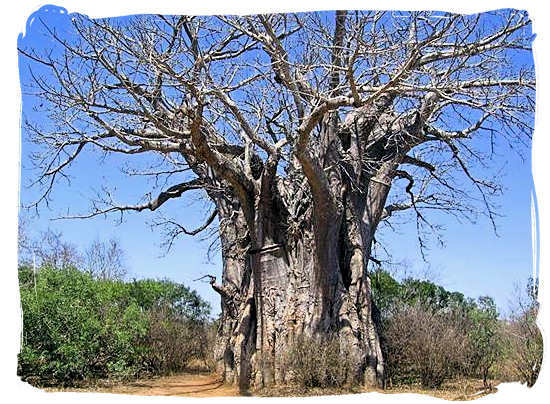 The Letaba river itself is lined with large trees, including the very large Baobab. 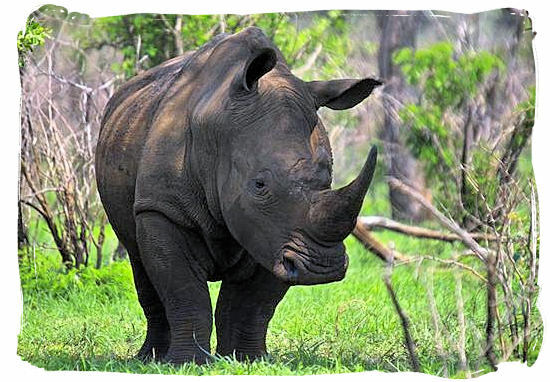 The bushveld in the region is dominated by the ever present Mopane scrub in the east, increasing in size as it mixes with Apple leaf, Jackalberry, Leadwood and Acacias trees towards the west. 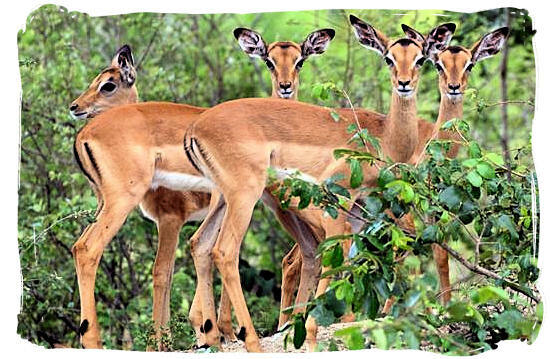 With great views across the dam from the cottages and the game viewing hide, Shimuwini bushveld camp offers a wide variety of game that come down to drink within view of the camp. 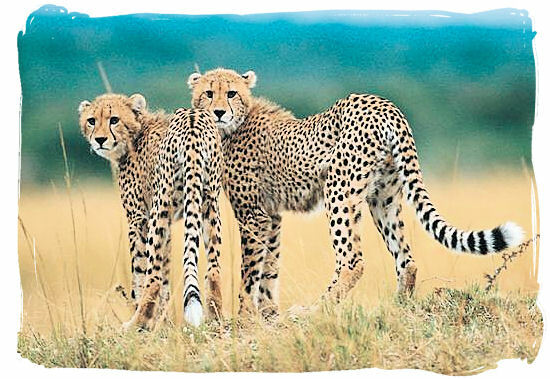 Some of the animals to be seen in the area are Lion, Cheetah, Leopard, Hyena, Giraffe, Kudu, Impala, Wildebeest, Zebra, Duiker, Hippopotamus, Crocodiles, Sable, Roan, Eland, Tsessebe, Waterbuck, Baboon, Elephant and Buffalo. In common with the other bushveld camps in the Kruger National Park, this bushveld camp offers wonderful birding opportunities too. 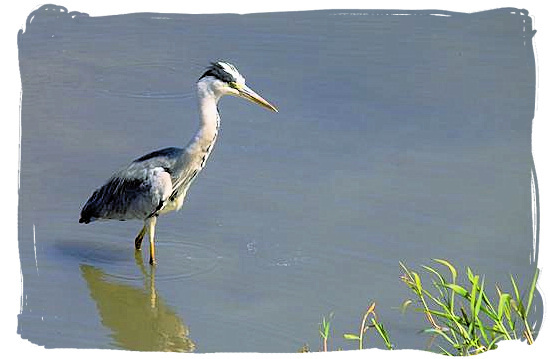 With 20km of road for the exclusive use of residents, bird lovers can pursue their passion without disturbance. Storks, Egrets, Kingfishers and African Fish Eagles are ever present, while Redwinged Pratincole, African Spoonbill, and Blackwinged Tern are some of the more uncommon species to look for. view a map of the Kruger National park showing the location of Shimuwini bushveld camp, then click on the map to enlarge. view a map of the camp showing the lay out of the camp itself, then click on the map to enlarge. The bushveld camps in the Kruger National Park have been kept small en intimate, offering guests a private and exclusive bushveld experience. Facilities are limited to those necessary for a small group of people. These include Information and Reception, Public telephones, and a Mini-shop stocking basic items such as firewood, ice and phone cards, but no food. 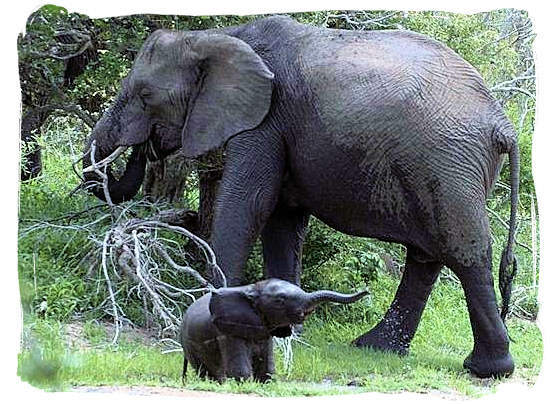 Major camp facilities are available at Mopani and Letaba, the nearest main rest camps. Mini Shop at Reception stocks basic items such as firewood, ice and Telkom phone cards. there are no foodstuffs such as meat available. Boma - a communal “braai” (barbeque) area in camp. The luxury accommodation this bushveld camp caters to a variety of guest requirements and needs. It has 5 cottages and 10 guest cottages, fully equipped, which can accommodate up to 71 guests. Spread out along the banks of the Shimuwini dam, they all have a lovely view across the dam. There are self catering and barbecue facilities at each cottage, enhancing the atmosphere of intimacy and privacy in the camp. 5 x 2-bedroom units. Both bedrooms have two single beds and a ceiling fan. The bathroom has a bath with a shower nozzle on top, toilet and wash basin and inter-leading doors to the other bedroom. The kitchen and dining room is on an open veranda and has a two-plate gas stove (without oven), sink, refrigerator, cooking utensils, crockery and cutlery. The veranda consists of a kitchen table and four dinning chairs. 9 x 2-bedroom units. 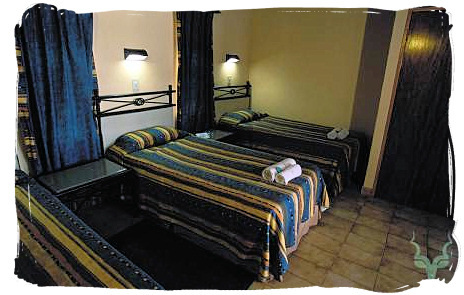 Both bedrooms have ceiling fans - one has 3 single beds, and the other 2 single beds. One bedroom has a bathroom en-suite (bath, toilet and wash basin). There is a separate toilet, as well as a separate shower and wash basin. The kitchen has a gas stove (with oven), refrigerator, sink, cooking utensils, crockery and cutlery. The dining room is on an open veranda. 1 x 3-bedroom unit. There are two single beds and a ceiling fan, as well as en-suite bathroom with bath and toilet in each bedroom. There is an outside shower, for a private shower under the stars. The bathroom has a bath, toilet and washbasin and inter-leading doors to the bedroom and living room. The living room has 2 lounge chairs and a ceiling fan. The outside dining room is on a large, partly enclosed veranda with 3 coffee tables, 6 chairs and a kitchen table. The kitchen is inside and has an oven and stove, refrigerator, cooking utensils, crockery and cutlery. 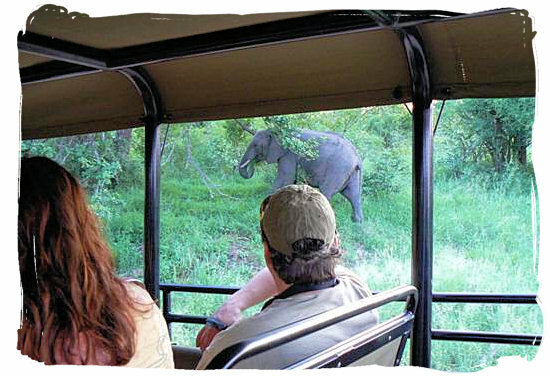 At this camp you can be certain to see a large variety of animals and birds. 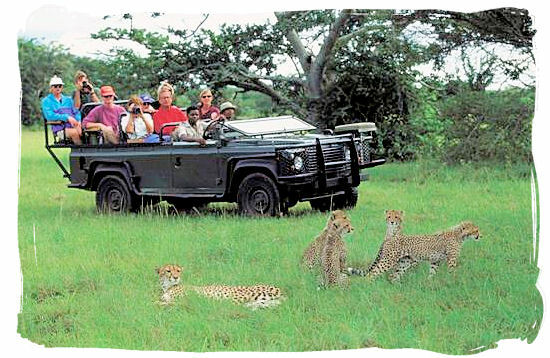 Whether you just relax in the game viewing hide and watch them coming down for a drink, go on an exclusive night drive and take part in the nocturnal activities of the bushveld’s nightlife, or explore the bush on a guided bushwalk accompanied by well trained and armed game rangers, you will have the experience of a lifetime. 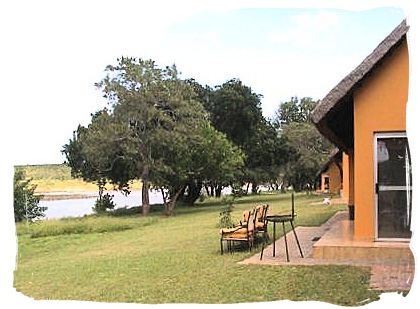 Biyamiti’s guests may also take part in the main camp activities available at Mopani, the nearest main rest camp. 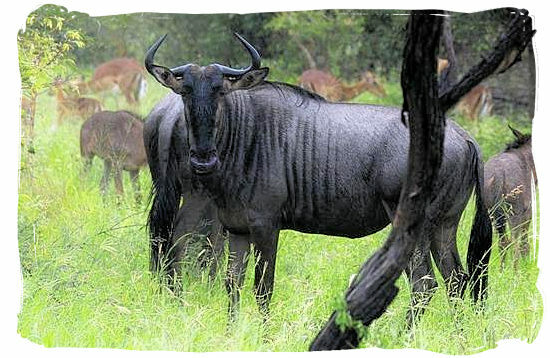 Kruger Park lies in a summer rainfall area with occasional bursts of quick summer storms (which can be quite heavy) occurring later in the day, cooling the air and settling the dust. The summer months (October to April) are hot and often quite humid. Winters are warm and mild with cool evenings. Visitors going on night drives during the winter period will require warm clothing. The closest airport is Gateway Airport situated near Phalaborwa, approximately 3km from the Phalaborwa entrance into the Kruger National Park. There are daily scheduled flights between Gateway and OR Tambo International Airport in Johannesburg. The camp is approximately 53km away from Phalaborwa gate. 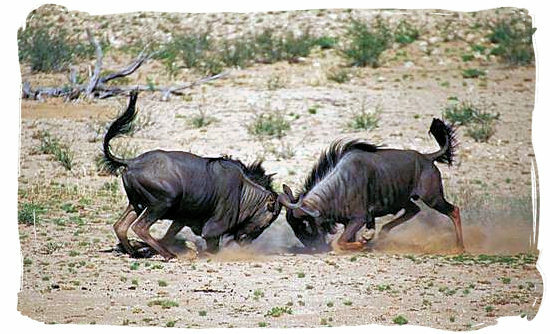 Considering the speed limit of 50km/hr on the main roads inside the Park, you should allow about 2 hours for the drive to the camp, however if you want to enjoy the game viewing possibilities give yourself more time. Travelling from Johannesburg or Pretoria, take the N1 toll-road to Polokwane (Pietersburg). 40km before Polokwane turn right onto the R71 and head for Tzaneen. After Tzaneen, continue with the R71 towards the Phalaborwa entrance gate into the Kruger National Park. Allow between 6 to 7 hours for the trip to the gate. The camp is approximately 53km away from Phalaborwa gate. Considering the speed limit of 50km/hr on the main roads inside the Park, allow a further 2 hours for the drive to the camp, however if you want to enjoy the game viewing possibilities give yourself more time. view a monthly calendar with accommodation availability details of Biyamiti bushveld camp. You will then be able to view the accommodation availability page of the South African National Parks (SANparks) website, for Kruger National Park’s Shimuwini bushveld camp. book your reservation for the shimuwini bushveld camp in the Kruger National Park on the official reservations page of the South African National Park's website. view the tariffs applicable for the camp, on the official tariff page of the South African National Parks (SANparks) website.